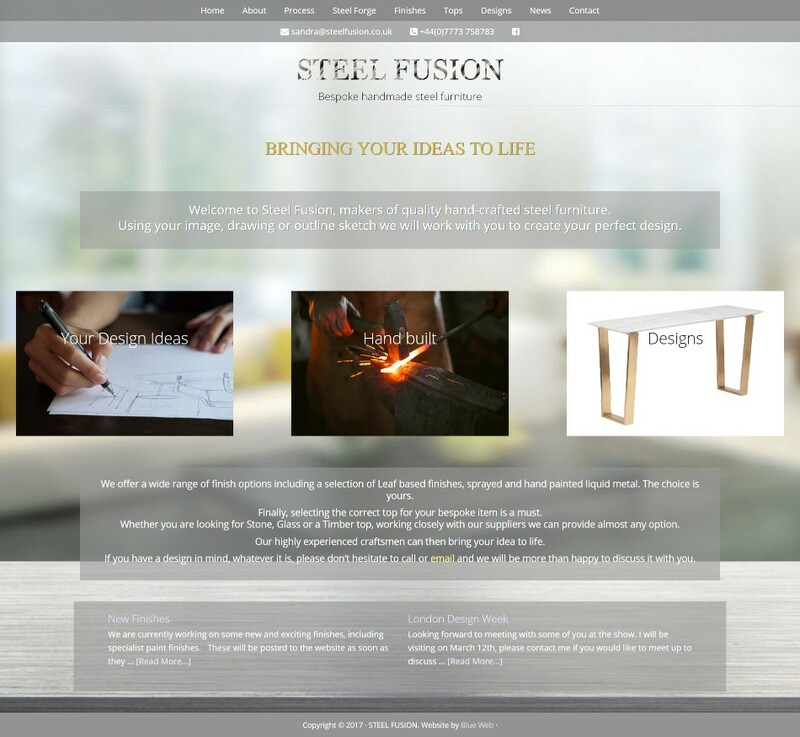 Steel Fusion is a new bespoke Steel Furniture company that provides individually designed steel furniture. Tables and chairs made from steel with gold and silver leaf finishes and many other finishes and materials including glass bubble tops. Everything is hand made in a local steel forge to the clients specifications and drawings. The website includes a blog which is updated with new products and events where you can meet Steel Fusion.